Three Years — Stevie Storck Design Co.
All photos in this post were taken by Savannah Smith Photography. If you're local to York-Lancaster-Philadelphia and looking for a family photographer, be sure to read to the end of this post for an exclusive discount on a photography session with Savannah! Today marks three years since I became Mrs. Storck. It's a little hard to believe, because honestly, it feels like longer than that! So, so much has changed in our lives since our wedding in 2013. We changed jobs, Anthony once and me three times. We bought our first house. We went on our first "big" trip together, saving up so we could fly to California to see our friend, Ella graduate film school. We adopted our sweet baby, Chloe. Anthony went back to school. I left the security of a "day job" to pursue my dreams of running my own business. We have overcome and we continue to face challenges big and small. Man, we've lived a lot of life in these past 3 years. There are many times in the past 3 years where we've felt like it's "us against the world", and you know, in certain areas we are feeling that way right now. There will always be struggles and difficulty in life, whether it's family, finances, work, friendships, or anything else. I feel so lucky to have a partner in life that builds me up and gives me strength to face whatever comes our way and I try my best to do the same for him. Whenever something unexpected happens, or an obstacle crops up in our path, I always say, "Don't worry, Anthony. This is a character building experience"! Part of being a young adult is learning things the hard way. It reminds me of a verse from my favorite hymn growing up in the Methodist church, How Firm A Foundation. My grace, all sufficient, will be thy supply. For our photos this year, we met Savannah at Indian Steps Museum, a beautiful historic property on the banks of the Susquehanna River. Anthony was originally a history major and has a big interest in Native American history. Indian Steps was my first ever field trip back in my Preschool days. We've been to the museum together a few times now and we love it. Plus, the grounds are absolutely beautiful! If you've been reading my blog for a while, you know that Savannah is our go-to family photographer. 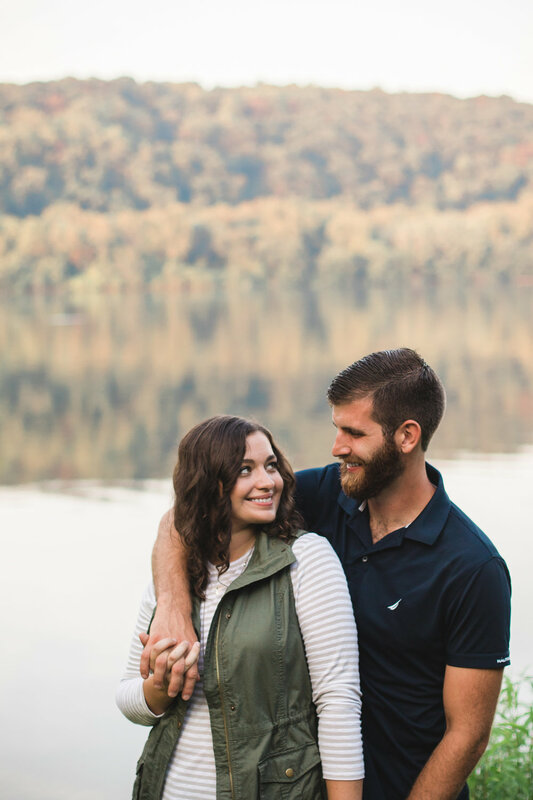 We've prioritized having professional photography done every year since we got married, and not just because we want a pretty photo to send out at Christmas time. Anthony and I both love looking through old family photo albums because we are nostalgia-lovers at heart. I love the idea that we are capturing images with Savannah that we will be able to share with our children and grandchildren someday. If you're interested in booking a session with SSP, we have a special offer for you: Book a Petite or Complete Session with Savannah by the end of October and you will receive $30 off the package price. To claim your discount, just email SavannahSmithPhotography@gmail.com with the subject line "Stevie". The details: This offer is valid on both Petite and Complete session collections. Session must be scheduled (retainer paid and contract signed) before 10/31/16 to receive the offer. Sessions must take place before 03/31/17. Offer is not valid on wedding or event coverage. Sessions are for children of all ages, families of all sizes, couples of all ages and more. There is no restriction on session location to receive the offer but all normal travel fees still apply.